This is a reading activity aimed at a good pre-intermediate class to Intermediate. 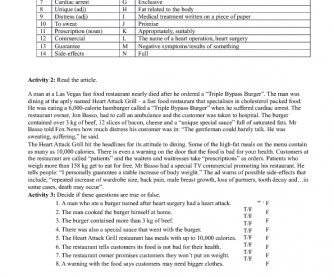 There is a short newspaper article about a restaurant that sells very unhealthy food. 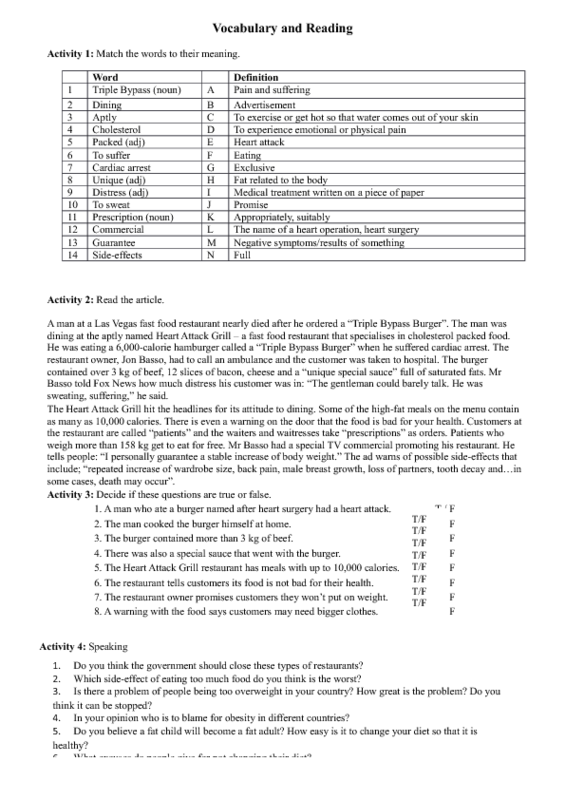 The worksheet includes a vocabulary match task, the article, comprehension questions and then some discussion questions. There are two versions of the worksheet- the second is a little easier. This is based on a true newspaper article and I have adapted it. Maybe you could ask students if they've seen the US programme 'Man v Food' or know of something similar in their country!